India is the perfect example of a secular nation. In India there are people of varied culture and religious backgrounds co-existing in a tremendous display of unity. India gives to its citizens a freedom to practice any religion and culture as long as it doesn't disturb the communal harmony of the country in any way. 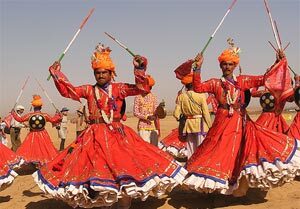 Festivals of India bring out the best of Indian people and the rich culture which is spread across the country. There are many festivals celebrated in India by people of different religion showcasing India's rich diversity. All these festivals are celebrated with lot of fanfare and excitement and at times one can witness an active participation in festivals of each other and this unity is what makes India a unique county with genuine secular credentials. Let us join hands in celebrating all the festivals of India together and take this unity forward in displaying to the world that factors like race, color, religion are all inconsequential when it comes to India. 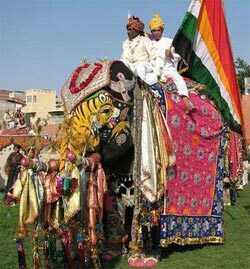 India is a land of fairs and festivals and every month, one or the other fair/festival occurs.Festivals in India symbolize color, gaiety, enthusiasm, prayers and rituals. People coming to India from abroad are awestruck by the scale and multiplicity of Indian festivals/fairs. Through fairs and festivals, we in India remember and commemorate the birthdays and great deeds of gods, goddesses, hero's, gurus, prophet's and saints.